Multi-Cloud: Arguments on Each Side & Successful Adoption – Superb Internet Blog - Delivering 360° Hosting Experiences – and blogging about it! Many businesses are now deploying multi-cloud environments. Let’s look at what this approach is, pros and cons, and basic rules for adoption. Multi-cloud is a term that has been used for years in discussion of cloud services, but – much like the cloud itself – the concept has been a little vague. 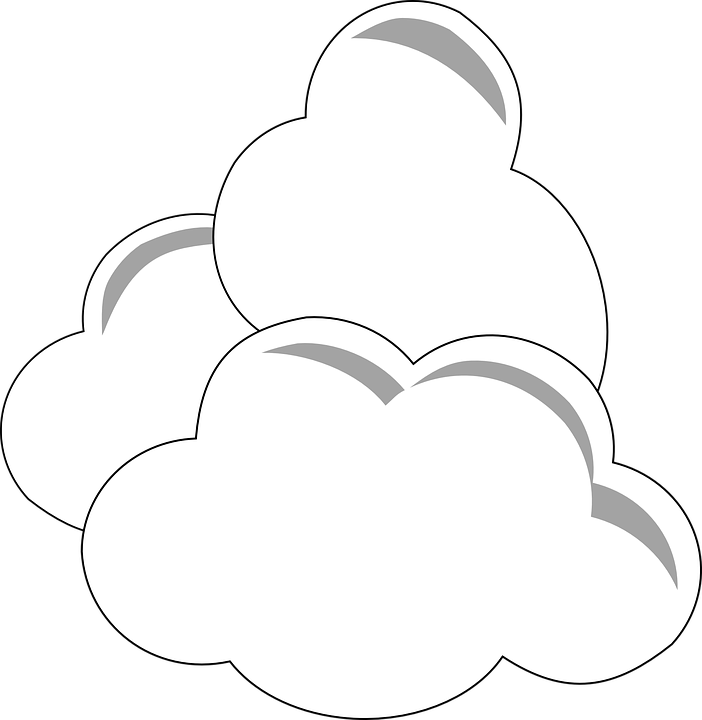 How does the notion of multiple clouds work within the context of public, private, and hybrid cloud categories, for instance? According to most experts, multi-cloud involves blending together numerous cloud-based systems from various vendors to diversify a company’s infrastructure or services. The idea is to reduce the threat of proprietary lock-in and allow the business greater agility, while taking advantage of the benefits and physical locations offered by different providers. Specifically, a “multi-cloud strategy is the concomitant use of two or more cloud services to minimize the risk of widespread data loss or downtime due to a localized component failure in a cloud computing environment,” according to TechTarget. A November 2014 poll of nearly 700 IT executives, conducted by Dimensional Research, revealed that three-quarters of companies (77%) were in the planning stages of a multi-cloud strategy. That statistic is a little shocking since cloud itself didn’t become a common business approach until the last few years. It also suggests that multi-cloud is a tactic that is accepted across a broad spectrum of verticals. There are actually advantages and disadvantages to this approach. Provide the option of private cloud for systems that have especially sensitive data, compliance concerns, or are built more traditionally. Basically, the notion of diversification to mitigate risk, as seen with the common stock-market strategy, is used in cloud with multi-cloud. Using various different infrastructures, this argument goes, makes you generally more reliable, and you are able to get the budgetary benefits of cloud while not suffering from lock-in with a specific cloud solution provider (CSP). Multi-cloud disaster recovery is an effort to optimize resilience. If one cloud goes down, the other remains up, and business continuity is maintained. Multi-cloud additionally gives companies access to data centers in different locations around the country and worldwide. Sending traffic to data centers based on their proximity to clients is helpful so that you can keep latency low. Plus, the lack of standardization from one cloud to another can make it challenging to figure out how costs compare from one company’s plan to another’s. Related: Another basic problem with multi-cloud is that you are trying to improve your reliability; but you want to make sure that any cloud you use meets strict requirements in the way that it’s engineered. At Superb Internet, for instance, our cloud features distributed rather than centralized storage so that even multiple node failures don’t impact performance, and InfiniBand rather than 10 Gigabit Ethernet for always-zero packet loss and practically no jitter. See our plans. It can be tricky to manage multi-cloud without a strong internal IT staff. It can also take the focus of your IT personnel away from working on new features and providing tech support. For these reasons, some companies partner with third-parties that help with management of multi-cloud. Using these services allows them to make sure everything is running smoothly in one central location. Multi-cloud environments can be managed by hosting companies, for instance, which means that there is 24/7 support in case any issues arise. Despite the importance of carefully vetting all the clouds you use to make sure you aren’t wasting your money with some, the fact is that this approach is increasingly popular. Remember the above mention that 77% of IT decision-markers said in 2014 that they planned to set up multi-cloud at their business. In 2015, another poll by the IT market analysis firm IDC revealed that 86% of enterprises were headed toward implementing it by 2017. The desire for diversity is understandable. However, properly integrating various cloud services can be challenging. Furthermore, you don’t want the quality of your solutions to suffer in the effort to have numerous systems in play. Make sure that whatever clouds you choose adhere to strong standards, such as SSAE 16 SOC-1 Type II, ISO 9001:2008, and ISO 27001:2013.